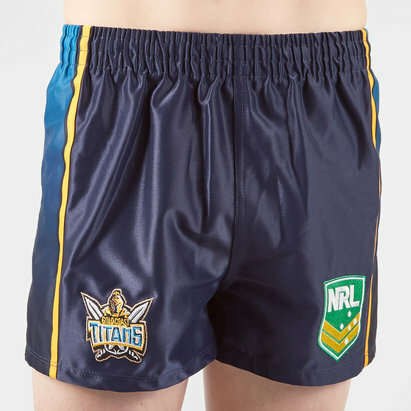 Cheer on the Titans at the Cbus Super Stadium or in training with these Gold Coast Titans 2019 NRL Gym Rugby Shorts from Dynasty Sport. Sticking to what is a relatively new tradition this shirt is predominantly navy with sky blue, white and gold detailing. 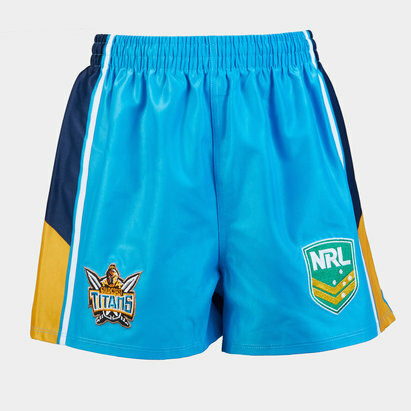 The Gold Coast Titans Gym Shorts are packed full of features, including concealed side pockets with zip, Laser cut side detail, Stretch crotch gusset and contrast panels. The shorts also proudly feature an embroidered Titans logo along with a Dynasty Sport silicon gel logo.